A friend works for a ….. Hedge Fund. He said you could put together a team to save Europe. Would you take up such a challenge? Thank you for telling it the way it is. ANSWER: In theory, yes, we could put together a team of people from the real world to try to put the breaks on this catastrophe. However, it is impossible at this stage to prevent the crisis. We might be able to mitigate the worst of it, but what has been set in motion must play out. Nobody reforms without the pain. There are many qualified people with real experience who could step up. Many are now asking to join our firm wanting to retire to give something back to society, seeing as this is not going well for their posterity. Nonetheless, you have to face reality. Mario Draghi is ex-Goldman Sachs and he will take his direction from them – not me. Christine Lagarde is a lawyer with no background in trading whatsoever. Besides that, I was invited by Edmond Safra to the IMF dinner in Washington years ago to see how the banks had the IMF in their pocket. 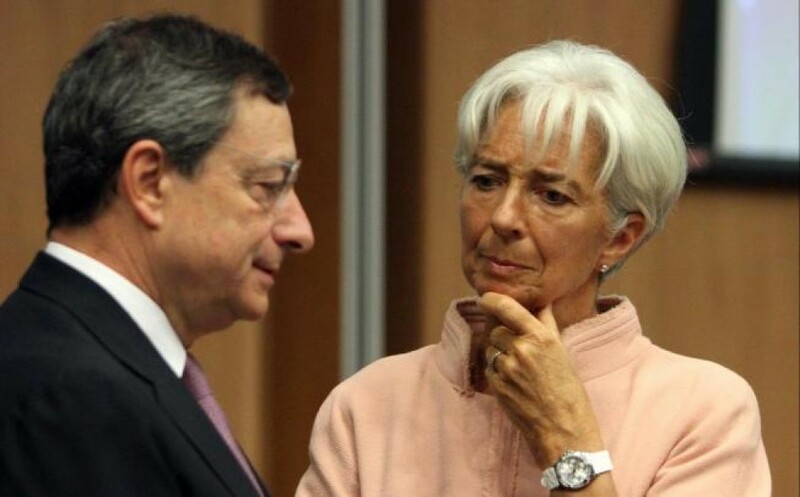 So, I highly doubt the IMF would ever listen to me after I have been critical of their role. In addition, they will fight to preserve only the bondholders – never the people. They are lobbying to make their SDR the new reserve currency and will have meetings on that starting in September in line with the ECM turning point. So this is a power-play for them, which I seriously doubt they would give up to help anyone. So two out of three is a deal killer and the third one is an unelected politician. So in theory sure, they could turn to the private sector for help, but they are not ready to raise the white flag. The best strategy we can hope for is to assist a single government when it moves into crisis to restructure to show the world the way out. That will be the only way to help by example, and then perhaps you have a shot of it rippling back through the system as Britain did during the Great Depression. Historically, reform has never occurred from the top-down. So while in theory it would make sense, those at the top of the food chain are trying to retain control and power. Therefore, they will be the last to admit defeat. A country like Greece has lost everything. That would be a far better candidate to reform and their success would then lead the rest of the world. This is simply judging the potential based upon the past. Our computer has been forecasting that the West will decline and the financial capital of the world will move to China. This is part of the process in motion. The arrogance of the Troika is right on time. So it is hard to see how any team could reverse this trend. It has been set in motion with the birth of Bretton Woods, which created the IMF. It is not that all economic activity in the West will cease to exist. Britain still remains, it just no longer rules the world and the pound is no longer the reserve currency. The U.S. dollar replaced that and it is time that the USA declines, thanks to Obama handing the reigns of economic power to China.